Blackpool have signed striker Danny Philliskirk and winger Mark Yeates from League One rivals Oldham Athletic. Philliskirk, 24, was the Latics' top scorer this season with seven goals and has joined for an undisclosed fee on a two-and-a-half-year deal. He started out at Oldham, but spent time in Chelsea's youth system before returning to his hometown club in 2013. Yeates, 30, has signed an 18-month contract with the Tangerines after his short-term Oldham deal ended. The Dublin-born winger began his career at Tottenham and his previous clubs also include Colchester, Middlesbrough, Sheffield United and Bradford. Both players also have options for an extra year in their contracts with Blackpool. 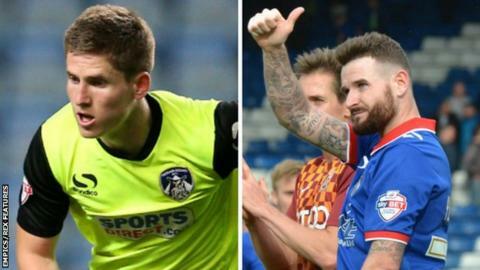 Oldham, meanwhile, have extended the loan deals of Burnley defenders Cameron Dummigan and Daniel Lafferty until the end of January.